RFI ( Request for Information) and RFP ( Request for Proposal ) are two of the important, and time-consuming things that need to be done before any actual construction can take place. RFI ( Request for Information) and RFP ( Request for Proposal ) are two of the important, and time-consuming things that need to be done before any actual construction can take place. Both are time-consuming to make, but in the words of the people involved in the construction industry, a necessary evil. These things are so important that according to a Navigant Construction Forum Survey of 1362 projects that there is a median of 9.9 requests for information for each $1 million of construction worldwide. This would translate into about $850,000 dedicated to RFI’s and RFP’s. But what exactly are RFI and RFP, how does the RFI and RFP process work? And what are the differences between the two? Let's try to find that out. RFI is an acronym that stands for Request For Information. 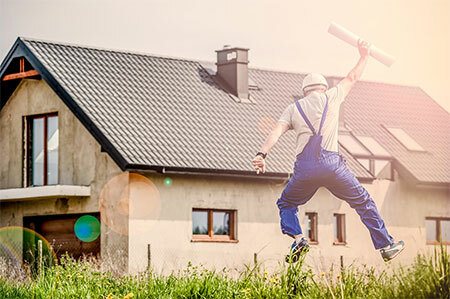 Request for information is used when potential clients have a concrete idea of what they want but they need more information from the vendor (here a construction company) WITHOUT any guarantee that they want to pursue the project. Usually, no project details will be provided by the client. This document will instead focus on the company's capabilities, experience, and skills. RFIs is usually used to obtain information that's not clear in the contract documents. For example, a general contractor might need information from a design or something from engineering, they would submit an RFI to get it. ● A subcontractor can use an RFI to call attention to an inferior product that may not meet the building owner's objective and give recommendations to fix it. An RFI raised and answered and has been distributed to the stakeholders is generally accepted a change to the scope of work unless further approval is needed. In effect, RFI's are communication that makes the construction work run smoother. Because RFI is a formal process, and RFI is usually submitted by a form. But since, RFI's are a standard part of any construction process, each contractor, architect, designer, the contractor can have their own style of submitting one. And these different methods of submission over time can cause a lot of confusion as well as garner up a cost as they become difficult to track. This confusion can be easily remedied by an RFI and RFP software like Procore. RFP stands for Request for Proposal. An RFP is a formal and intensive request by clients for prospective suppliers to come up with a proposal for a project usually done through a bidding process. It has strict procurement rules for content, timeline, and vendor responses. The client specifies a scope of work that needs to be done (RFP) and seeks a response from the vendor in a Proposal on the details including the price on how they would go about executing the project. An RFI is typically used when the client knows what he wants, and needs information from the potential vendor to clarify information. An RFI is often used in conjunction with an RFP. Whereas, an RFP is used when a client has a project in mind but is unsure on how to go about to execute it. An RFP is strict and has strict rules for content, timeline and how vendors need to respond. However, an RFP tends to be more robust than an RFI because the suppliers can provide their own suggestion on how they want the project to be designed and completed. The way RFP and RFI have been defined in this article has been simplified, but in reality, creating and submitting RFI's and RFP's is a long and arduous process that requires significant time and expertise. And sometimes information especially RFI's can get lost and can result to cost overruns, lost profit, or sometimes lawsuits. An RFI and RFT software like Procore can help you organize your bids and RFI's by keeping track and organizing your bids and RFI's ensuring that any construction project is delivered on time.